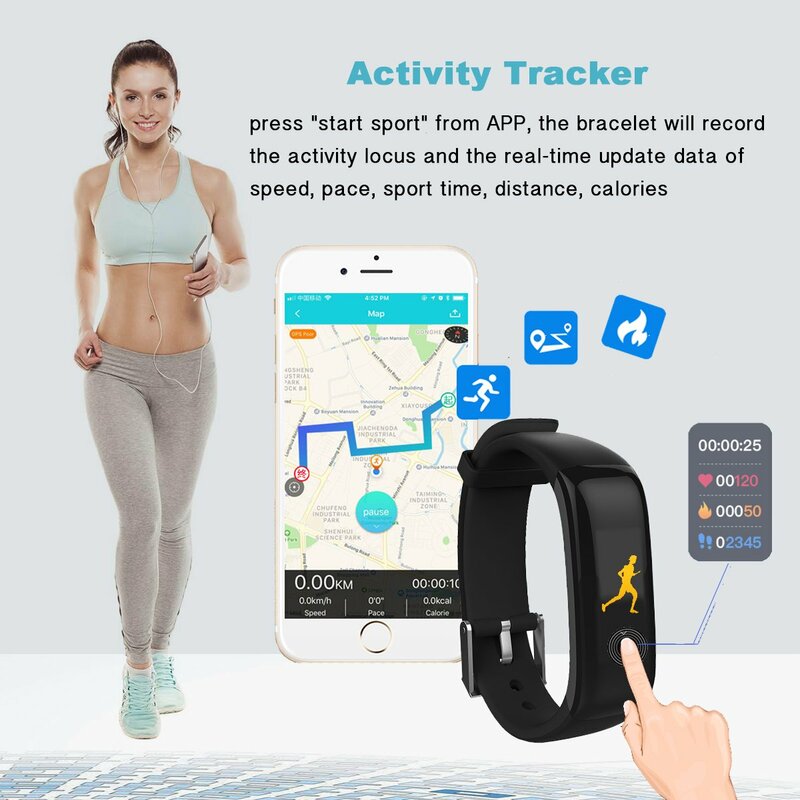 【All Day Activity Tracking】All-Day Health Management More accurate pedometer, heart rate, sleep quality monitoring, sedentary reminder. 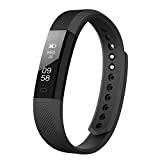 The fitness tracker Accurately records all-day activities like steps, distance, calories burned, and active minutes. 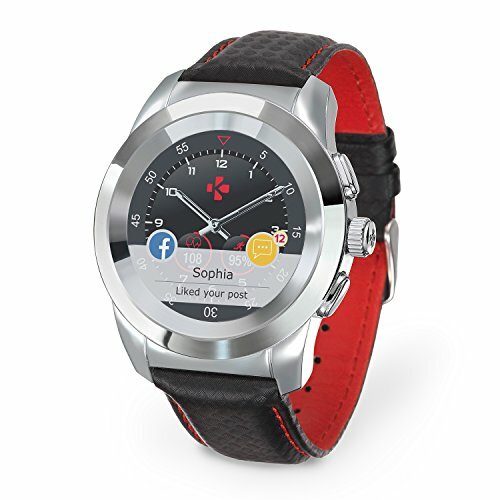 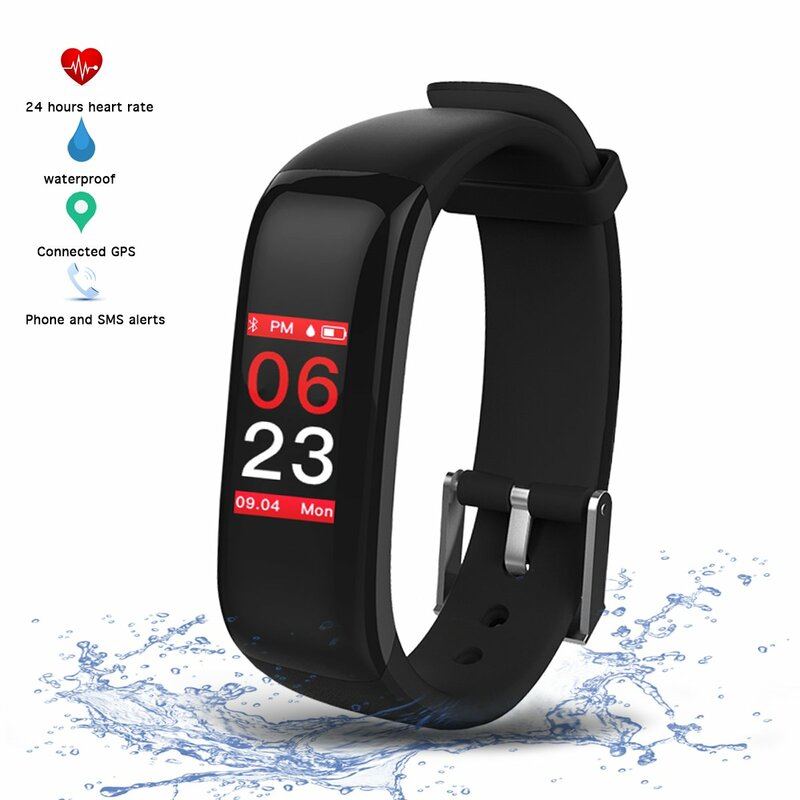 【Blood Pressure and Heart Rate Monitor】The smartwatch takes manual readings and spot heart rate measurements. 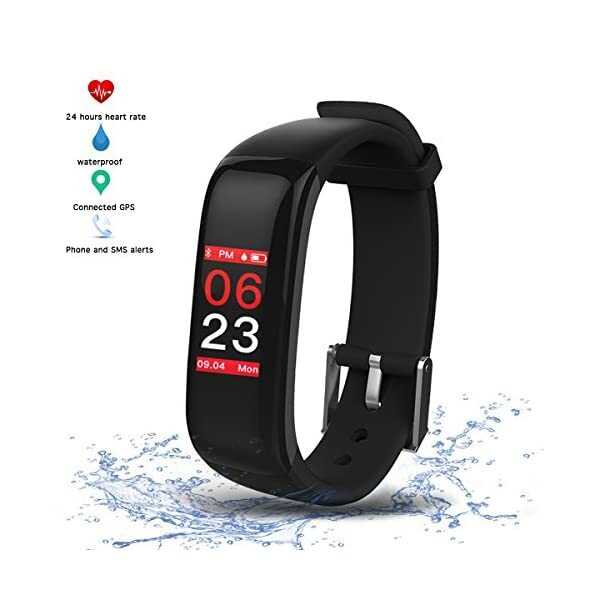 It can also alone take a blood pressure reading, and the more medically accurate and validated way to do so today is by stopping the blood flow in your veins by inflating a blood pressure cuff around your upper arm and then deflating it while listening for changes in your arteries. 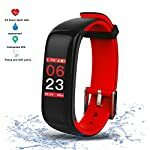 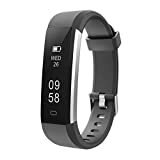 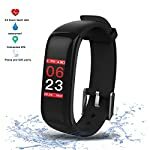 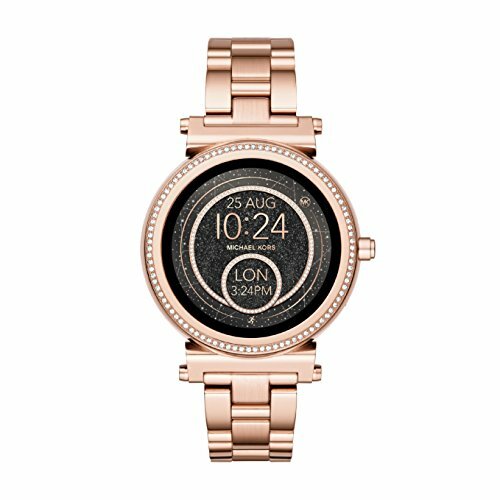 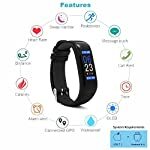 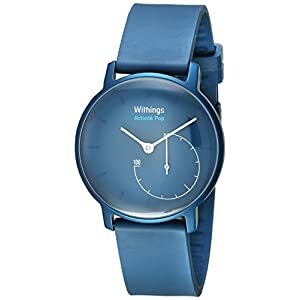 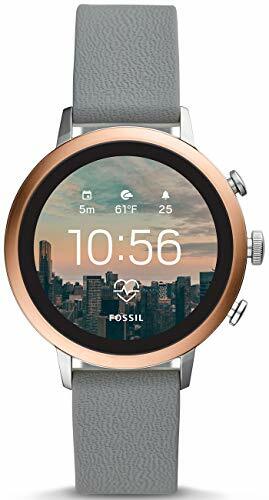 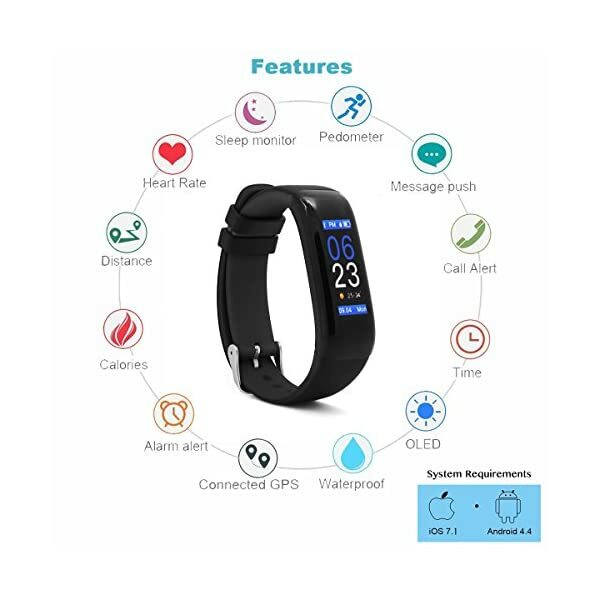 【Multiple Features】Date/Time, Heart Rate Monitor, Pedometer, Calories, Blood Pressure Monitor, Stopwatch/Countdown, Sleep Monitor, Smart Notifications (incoming call / message / sedentary reminder), Camera remote control,synchronizes automatically in real time with the application (H band) , Quick charge fully 2h for standby time 5 days . 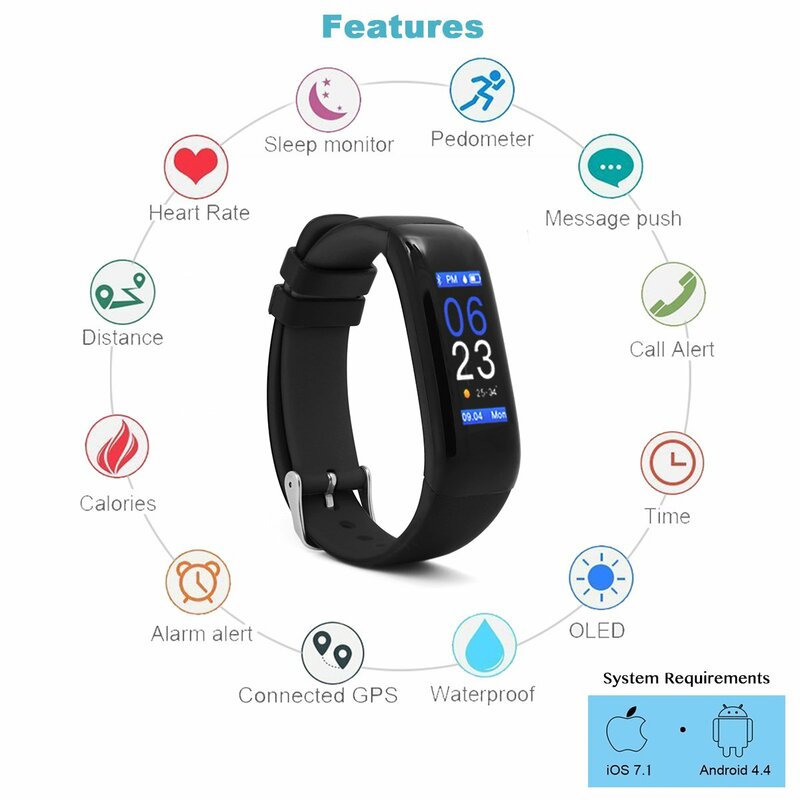 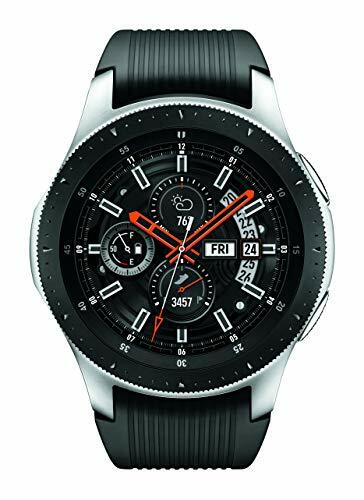 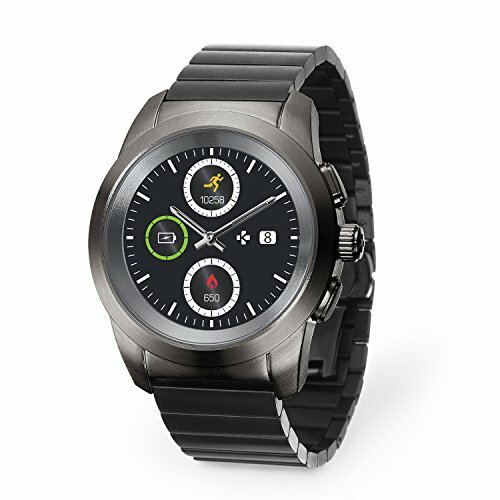 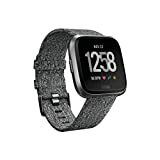 【Never miss call and message】Your smartwatch will vibrate to alert you when you get a messages and incoming calling notifications from your phone,you will never miss a call and a message. 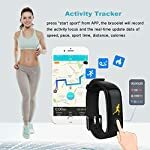 Open the “Sedentary Alert” function in the app,it will vibrate to remind you to move if you stay at your seat for a long time. 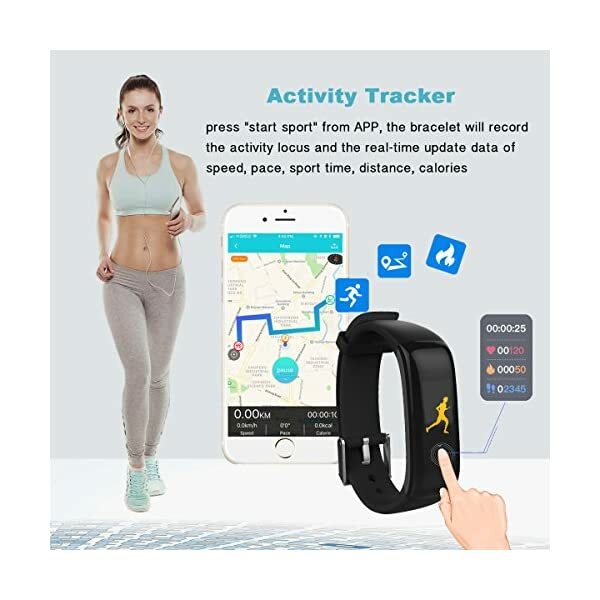 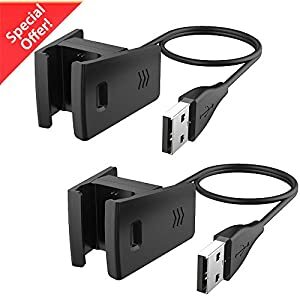 【1 Years Guarantee】100% SATISFACTION GUARANTEE & 30 Days Money Back Guarantee, Risk-Free.Please contact our service freely, we will sort it out within 24 hours.